The beauty of diversity of flowering plants that can not be found elsewhere. 25 minutes drive from Palace Hotel Cipanas and 3 hours from Jakarta, Taman Bunga Nusantara (TBN) has many diverse collection of beautiful and fresh flowers, ranging from plants to tropical climate as well as for a cold climate, not even just the interest that comes from Indonesia, flowers from all over the world were there. In addition to refresh the eye, we also will get a lot of new insights about the flowers. TBN is also used as a garden experiment with different types of flowers and plants from certain subtropical and cold temperate countries in Europe, America, and Australia. 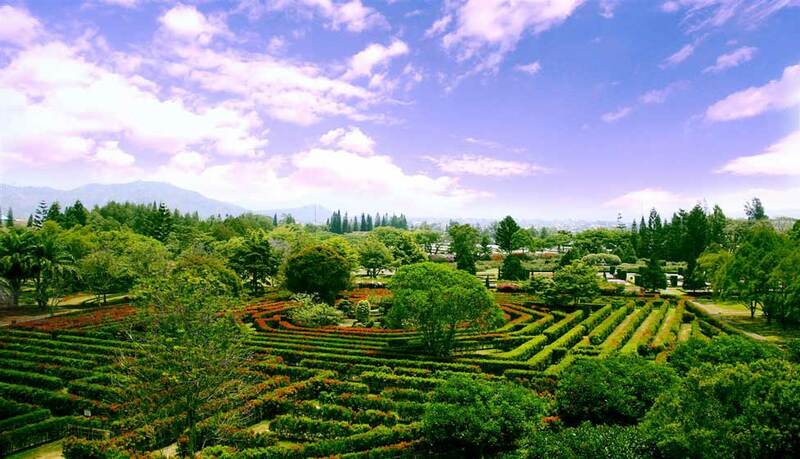 There are a variety of specialty gardens featured on TBN, ranging from water gardens, rose gardens, French garden, secret garden (labyrinth), bali garden, Mediterranean garden, palm garden, and Japanese style gardens. 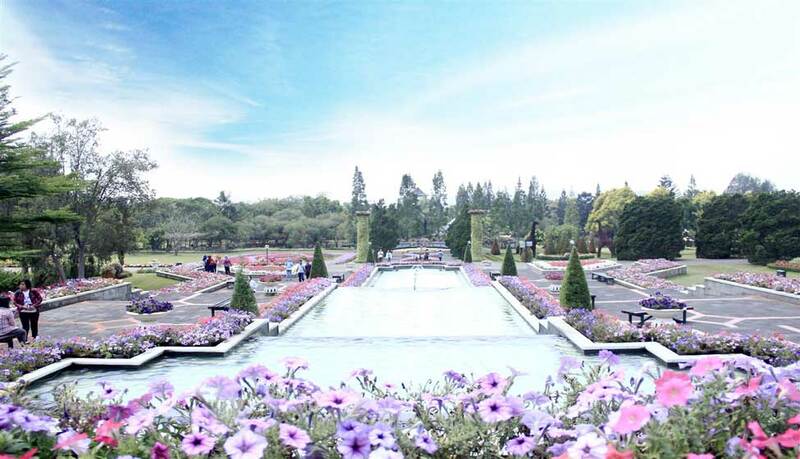 TBN situated at an altitude of 750 meters above sea level and located in the Village District Kawung-Luwuk Sukaresmi Cipanas-Cianjur, with total area of 35 acres, Garden Flowers Collection presents the beauty and charm and natural flowers arranged beautifully. 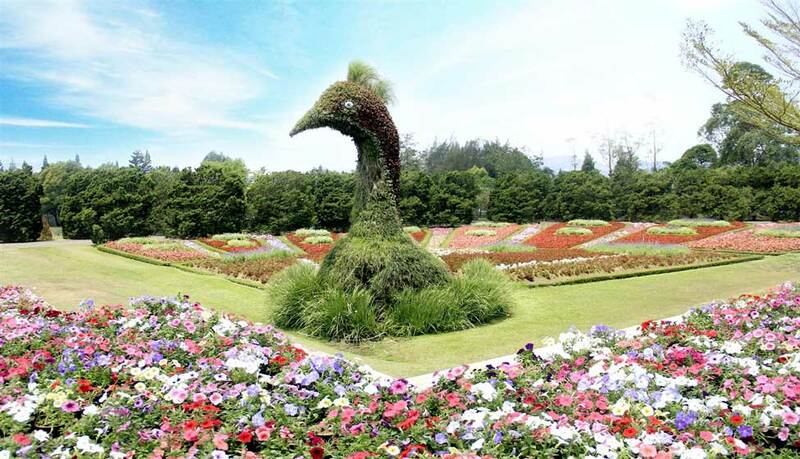 Founded 10 years ago precisely on September 10, 1995, Indonesia’s first display garden is equipped with various collections of plants and flowers are renowned worldwide unique. Upon entering the main door we immediately treated to the beauty of flowers shaped like a peacock which the tail arranged various kinds of colorful. Not far from there at a giant peacock is also composed of different types of flowering plants. The Giant Clock really operates well every hours. TBN also facilitated the customer with green houses, lake geese, Rafflesia mini-theater, gazebo, nature is imagination, the location of the picnic, amphitheater (stage floating) train datto, car wira-wiri, tower view, polyclinics, Overall Views’s Galleria and other supporting people who wants to events held in spacious lawns.